Retail 3.0 is the evolution of multi-channel retail distribution. It blends technology with physical brick & mortar retail i.e. Omnichannel retailing. 02 Feb Are the Middle Eastern retailers ready for Retail 3.0 ? 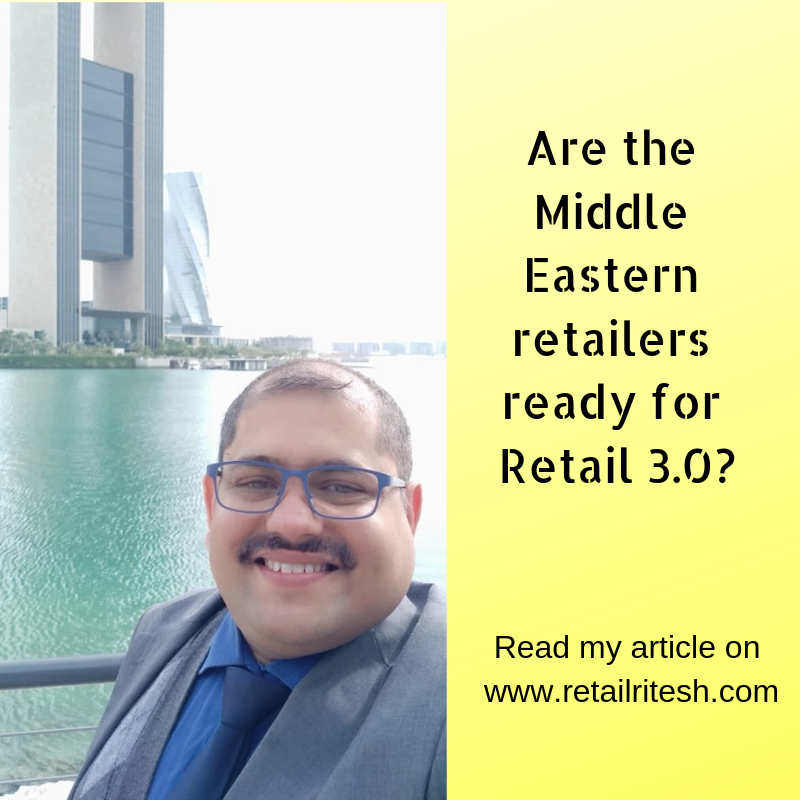 “Are the Middle eastern retailers ready for Retail 3.0?” This is one of the questions, I was asked in one of the networking events recently. My reply to the questioner was “No”, the reason for me saying is that we as retailers and mall landlords are still running retail as a real estate business and not as a Retail business. Though I see few big retail companies embracing technologies, re-inventing themselves by not only investing in real estate but in creating actual “Asset” i.e. “Human resource skilled in running retail businesses”. I was really glad to learn that one of the biggest mall operator companies in the Middle East would be opening retail education institute to develop the retail skill set amongst retail professionals. Read the news clipping here. I had previously forecasted the trends and retail brands to watch out in 2019, check out the article here. So what is retail 3.0? In Bhagavad Gita, there is a word called “ tathastu” which means literally “ You ask & You get it” & that’s what is the main premise of Retail 3.0 i.e. how to make the lives of shoppers more convenient by using technology as the main ingredient. It makes customers (millennials) experience the brand and store more holistically by engaging them & reducing their pain points which a conventional shopping brings with it. For example, carrying loads of shopping bags post-shopping to your vehicle and back home. Carrefour has started similar service of “Valet trolleys” in Dubai. Thanks to my friends at Pulse 95 FM, I got the opportunity of sharing my views about the concept of “White Friday sale”, “Yellow day sale” & “Cyber Mondays” and why these events have become a part of every retail marketing calendar. I always emphasize on case study format in order to understand the real-life example, I would like to quote one case here from one of my favorite brands. Bonobos – for men’s clothing store wherein shopper goes n tries out clothes. If shopper likes it, they buy online and garment gets delivered to their home. No hassles of carrying shopping bags. The Concept requires smaller stores that carry limited inventory as it eliminates the need of a stock room, resulting in the addition of more trial rooms for the customers to try merchandise. Because of smaller spaces, they shell out lower rentals and lower inventory holding costs, resulting in bringing more operational efficiencies. A great example of Phygital i.e. Physical brick & mortar plus digital/online e-commerce. I would more than happy to share my retail wisdom with my retail fraternity, in case if you are a retailer, mall owner and need cutting edge & innovative solutions for your retail operations, then you know, who is your “Go To” person. “Future belongs to those who dare to think different & act and believe in creating sustainable objectives for their brand”. By Retail Ritesh.